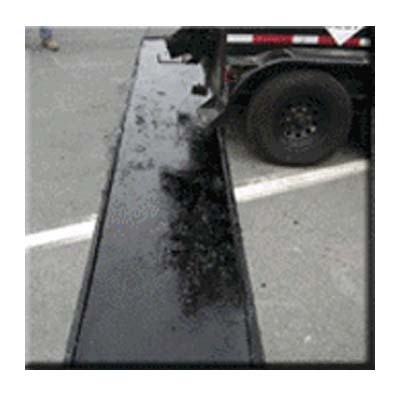 Deery Bridge Joint System - J.D. Honigberg International, Inc.
Factory-blended materials combined with state-of-the-art mixing and installation techniques result in smooth, quiet maintainable joints. DEERY Bridge Joint System™ (FBJS) is a unique blend of modified asphaltic binders, select aggregates and other modifiers pre-measured and combined to create an All•In•One•Box asphaltic bridge joint system which eliminates the chaos and guesswork associated with field mixing. The factory-blended material is heated and dispensed directly into the joint block-out where it is leveled and allowed to cool. Compaction is not required. The smooth surface of the installed system reduces stress on the structure, is plowable, maintainable and is highly resistant to water intrusion and to a wide range of salts. • Durable – Highly resistant to water intrusion and a wide range of salts, bases and organic materials. • Accurate – Factory blended materials ensure consistent results and eliminates field mix errors joint after joint. • Economical – Joints can be completed with a small crew and minimal equipment. No compaction is required. 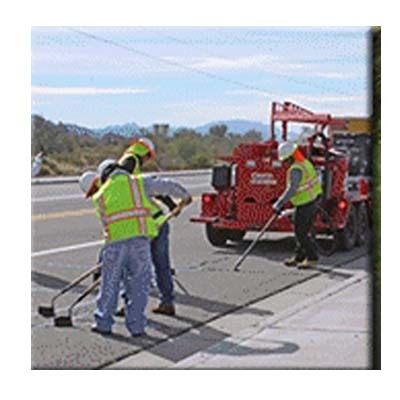 • Minimum traffic interruption– Installation can be done with single lane work zone. Completed joint is ready for traffic as soon as it’s cooled. Deery is committed to the Bridge Joint Industry. Deery’s innovative system ELIMINATES troublesome buckets, bags, open flames, concrete mixers, wheelbarrows, unmeasured temperature, propane bottles, rusty plate, rakes, compactors and the expense of larger work crews. DEERY Bridge Joint System™ uses a unique blend of modified asphaltic binders and select aggregates that are factory blended to create an easy, “all-in-one box” solution. 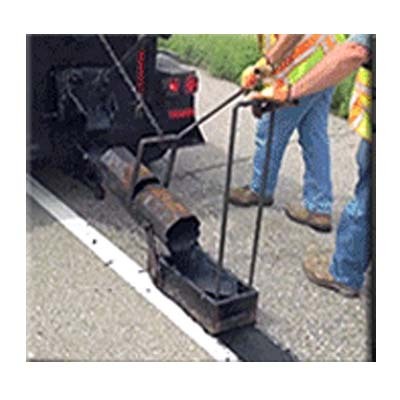 DEERY Bridge Joint System is intended for use, in either exposed concrete or asphalt overlaid decks, as a replacement for existing small movement expansion devices or as a first installation small movement joint. Do not install in excessive skew, incline, or severe stop-and-go configurations.